Directions: Follow US 550 and exit at CR7900. 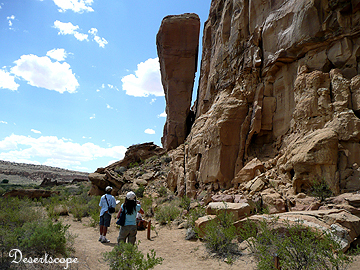 Follow CR7900 all the way to CR7950 to reach the Chaco Canyon visitor center. Visitor be warned, the CR7950 is an over 13 miles of unpaved dirt road with washboard surface. Car shook violently as you drive through it. The 13 miles can turned into more than a hour drive. The park opens everyday from sunrise to sunset, though the visitor center is closed on most of the federal holidays. 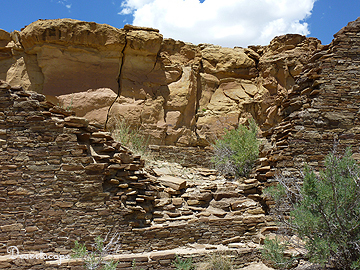 Chaco was once a metropolitan city for the ancient Pueblo Indians dated between 850 and 1250 AD. In Acoma, it is called W’aasrba Shak’a (place of greasewood). 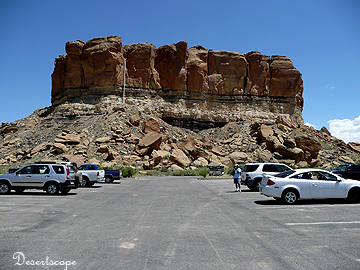 The area also was a part of home for the Hopi and Navajo Indians. Among these sites were Chacra Mesa, Hungo Pavi, Chetro Ketl, Pueblo Alto Complex, Casa Chiquita, Penasco Blanco, Kin Kletso, Pueblo del Arroyo, Bueblo Bonito, Casa Rinconada, Tsin Kletsin… Each site is build with its own unique layout. Though many share the similarities, several different types of architectural styles are exhibited. Overall, the sheer size of the place is just overwhelming. To think such splendid city would one day fallen into such abandonment led one to think of our own big cities.